Gary Jones, who has managed 999 games at the Triple-A level, returns to the Lehigh Valley after leading the Pigs to their first division title last season. The Philadelphia Phillies have announced their minor league field staffs for the 2019 season and Gary Jones will return to Coca-Cola Park for a second season with the Lehigh Valley IronPigs. 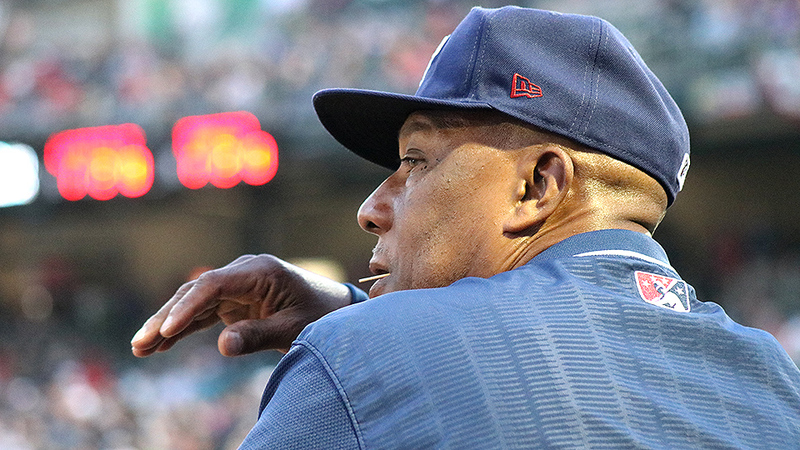 Jones, 58, boasts 28 years of managerial and coaching experience in five different organizations including 16 seasons as a minor league manager. Last season, he piloted the Pigs to an IL-best 84-56 record. Jones owns a 534-465 record in seven seasons at the Triple-A level, as well as a World Series ring from his time with the Chicago Cubs. The 2019 IronPigs opener will be Jones' 1,000th game as a Triple-A manager and 2,152nd as a minor league manager. An all-new coaching staff will assist Jones during the 2019 season. Darryl Robinson joins the Phillies organization as the Pigs' new hitting coach while four others join Lehigh Valley from Double-A Reading - Steve Schrenk (pitching coach), Greg Legg (coach), Mickey Kozack (athletic trainer) and Mike Lidge (strength & conditioning coach). Robinson enters his 23rd season as a professional baseball player or coach and arrives in the Lehigh Valley after serving the Astros organization for 10 seasons - eight years with A-Advanced Lancaster and the last two with Triple-A Fresno. A 1986 second-round pick of the Royals, Robinson played professionally for 12 seasons across multiple organizations. Schrenk has coached in the Phillies minor league system since 2003 and has spent the last three years with Reading. He pitched professionally for 16 seasons (1987-2002) including two seasons with Philadelphia where he went 3-6 with a 5.25 ERA and one save in 52 appearances. Reading's manager for each of the last two seasons, Legg joins the IronPigs staff for the 2019 season. With 338 wins over his two stints with the Fightin Phils (2002-04, 2017-18), Legg sits third behind Dusty Wathan (373) and Bill Dancy (350) for on Reading's all-time wins list. Since being drafted by the Phillies in the 22nd round of the 1982 draft, Legg has served the organization as a player, coach or manager. Kozack enters his 13th season as a full-time athletic trainer in the Phillies organization. After spending 2007 in Williamsport, he served at Lakewood from 2008-13, Clearwater from 2014-16 and Reading each of the last two seasons. Lidge enters his third season with the Phillies organization after spending four years (2013-16) with the San Francisco Giants' organization. He has a Master of Science in Exercise Science and a Bachelor of Science in Kinesiology from Northeastern Illinois University.